Jon Sealy, Glen Allen, Va.
Sheldon Lee Compton, Pikeville, Ky.
Elaine Fowler Palencia, Champaign, Ill.
Amanda Jo Runyon, Draffin, Ky.
Jane Sasser, Oak Ridge, Tenn.
Tracy L. Seffers, Charles Town, W.Va.
Alice Hale Adams, Fordsville, Ky.
Eliza Ray Geroski, Louisville, Ky.
Dominique Traverse Locke, Lebanon, Va.
Linda Parsons Marion, Knoxville, Tenn.
J. Stephen Rhodes, Berea, Ky.
Eric Scott Sutherland, Lexington, Ky.
Charles Dodd White is the author of the novel Lambs of Men (2010), a short story collection, Sinners of Sanction County (2011), and co-editor of the contemporary Appalachian fiction anthology, Degrees of Elevation (2010). He currently lives in Asheville, North Carolina, where he teaches English at South College, and is on the creative writing staff of the Hindman Settlement School's Appalachian Writers Workshop. He has been a Marine, a fishing guide and a journalist. In 2011 White was awarded a fellowship in prose from the North Carolina Arts Council. His fiction has appeared in Appalachian Heritage, The Collagist, Fugue, Night Train, North Carolina Literary Review, PANK, Word Riot and several others. He also frequently contributes to Rain Taxi Review of Books. He is currently writing another novel titled Benediction. Jesse Graves teaches poetry writing and American literature at East Tennessee State University, where he won the 2012 New Faculty Award from the College of Arts & Sciences. Before that, he completed a Ph.D. in English at the University of Tennessee, and a M. F. A. degree in Poetry from Cornell University, and taught for one year as a lecturer at the University of New Orleans. 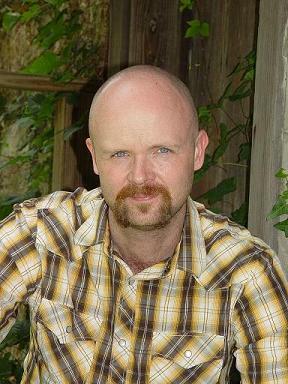 His first poetry collection, Tennessee Landscape with Blighted Pine, was published by Texas Review Press, and won the 2011 Weatherford Award in Poetry from Berea College and the Appalachian Studies Association. 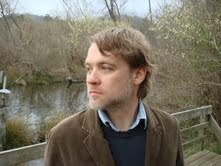 The same press released The Southern Poetry Anthology, Volume III: Contemporary Appalachia, in 2010, which he co-edited. Other work appears in current or forthcoming issues of Prairie Schooner, Georgia Review, and Missouri Review Online. Joyce Dyer is the author of three highly acclaimed memoirs, including Goosetown: Reconstructing an Akron Neighborhood, Gum-Dipped: A Daughter Remembers Rubber Town, and In A Tangled Wood: An Alzheimer’s Journey; a chapbook and the edited anthology Bloodroot: Reflections on Place by Appalachian Women Writers. Her essays have appeared in numerous magazines, including North American Review, High Plains Literary Review, creme city review, and Stoneboat Journal, as well as in numerous collections and anthologies. Her awards include Pushcart nominations in essay, the Appalachian Writers Association Book of the Year Award for Bloodroot, a National Book Award nomination for In a Tangled Wood, the David B. Saunders Award in Creative Nonfiction for her essay “Confessions of a Nail-Biter,” a chapbook prize from Word of Mouth Books for her long hybrid essay My Mother’s Singer (co-winner), first place in the Best of Ohio Writers Contest in the category of Writers on Writing, selection of Gum-Dipped as a Book of the Year finalist by ForeWord Magazine, and the naming of Goosetown as a finalist for the 2011 Ohioana Book Award. Dyer is the John S. Kenyon Professor of English at Hiram College and is in demand as a teacher at a wide variety of writing workshops across the country.